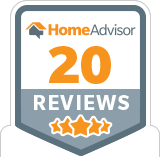 On HomeAdvisor we have just achieved 20+ reviews. We could not have done this without our amazing customers. 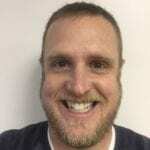 We are not posting this article to show off, in fact, we want to tell you What it means to us as owners at Mantis Pest Solutions as well as how it affects our company. If you have watched the about us video on our website you know the reason we started Mantis Pest Solutions is because we felt we could provide better service to our customers. With over 30+ years in the pest industry we have seen and heard a lot of stories on how people have been treated by big pest control companies. Most experiences we heard from people were how they felt like they didn’t get what they were expecting, or were treated rather poorly by these companies. That is one of our main focuses here at Mantis is to keep the customer happy. We do these by focusing on our customer service, offering competitive pricing, and offer a protection guarantee on all of our pest control services. There is no better way to know we are accomplishing our goal than when we get a new review. After 20 reviews we currently have 4.76-star rating out of five. You are probably familiar with the search engine Google. You probably almost use it on a daily basis looking for information. When people have a pest problem nowadays they search or ask Siri the following, “How to get rid of bed bugs”, “local pest control companies”, or even just one phrase, “pest control”. When people do these searches they don’t just want a solution they want the best pest solution. To find the best pest control company they look at all of the local pest companies reviews and find your review of our company. Your review gives them the confidence they need to trust us. People who rather use a recommended pest control service than one they know nothing about. Your review makes them feel like our company has been recommended helping them feel better about calling us and getting to someone who can help them. Your reviews are powerful. Again, we truly want to thank those of you who have given us a review on Homeadvisor and helping people who have pest problems find a solution. 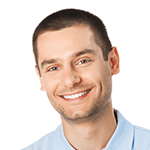 If you have already given us a review on Homeadvisor please share it again on these other review sites such as Google, Yelp, and Facebook where people are also looking for pest solutions. If you haven’t given us a review please click one of these links and let us know how we are doing, good, or bad. If you need more instruction on how to review us on google click here.Your feedback is essential so we can improve our services and help others have a greater experience when protecting their loved ones from pests.